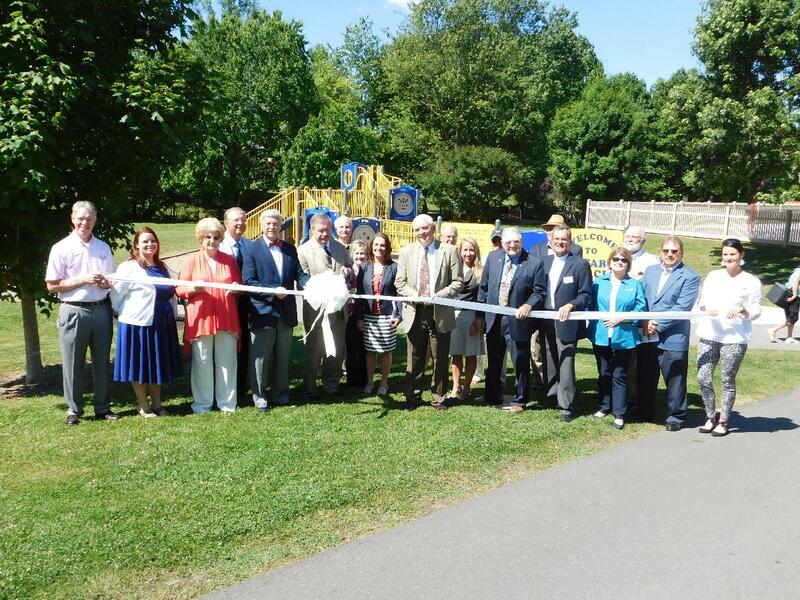 This morning, Morristown Parks & Recreation was proud to officially dedicate "Rotary Place" at Fred Miller Park. This area of the park was created through the efforts and donations of the Morristown Rotary Club. It all begin in 2005 with the construction of the Splash Pad, then several pavilions over the years, and a new playground this last fall. Future plans for the area include a handicap-accessible swing. Many Rotary members were in attendance for the dedication including Rotary President David Andrews. We thank the Club, its members, and all those who played a part in making this great recreation area a possibility. May it be enjoyed for many years to come.